For the past two decades, people in Greater Victoria have debated whether or not they would like to see changes in the configuration of the 13 municipalities that make up the Capital Regional District (CRD). Are there efficiencies that could be gained in local government through cost sharing agreements between municipalities? Are there opportunities to regionalize services? How would amalgamation impact services to residents and overall costs? 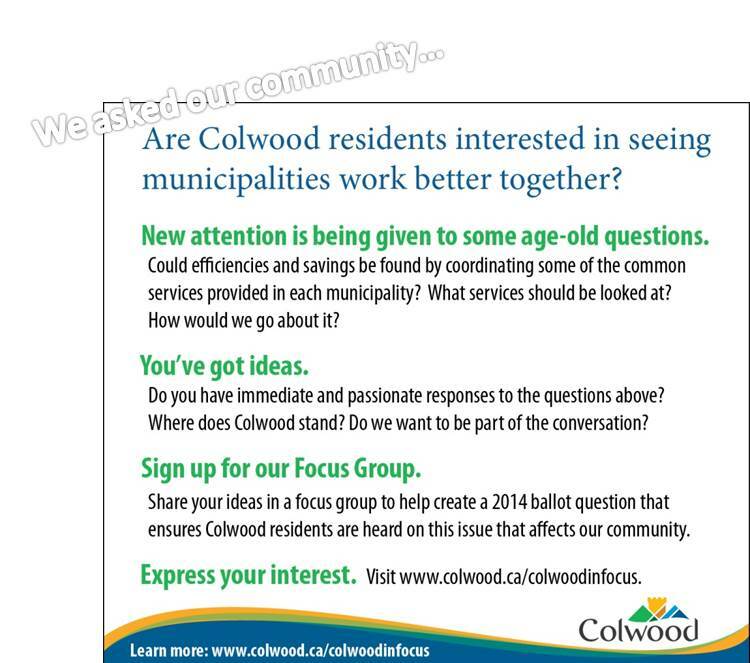 Colwood residents were invited to participate in a Focus Group to help create a 2014 ballot question that ensures their voice is heard on this issue. An ad was placed in the Friday, February 7, 2014 Goldstream Gazette newspaper, and promoted at meetings, in newsletters, on the City website and through social media sites. There were just three (3) responses to the City's call for interest. Mayor Hamilton and Council members met with each of the three people who responded. Considering the limited response at this time, Council made a decision at their June 9, 2014 meeting to rescind the original July 13, 2013 resolution to have a question about amalgamation on the 2014 ballot.